Indian Insurance Industry has got the deep-rooted history. These evidences are from the writings of Manu (Manusmrithi), Yagnavalkya (Dharmasastra) and Kautilya (Arthasastra). The writings speak about pooling of resources that could be re-distributed in times of calamities such as fire, floods, epidemics and famine. Ancient Indian history has preserved the very earliest traces of insurance in the form of marine trade loans and carriers contracts. In India the Insurance has evolved over time heavily drawing from other countries, England particularly. In India the advent of Life Insurance started in the year 1818 with the establishment of the Oriental Life Insurance Company in Calcutta. In the year 1829, the Madras Equitable had began the life insurance business in the Madras Presidency. British Insurance Act enactment was done in the year 1870. In the last three decades of the nineteenth century, the Bombay Mutual (1871), Oriental (1874) and Empire of India (1897) were started in the Bombay Residency. This era, however, was dominated by foreign insurance offices which did good business in India, namely Albert Life Assurance, Royal Insurance, Liverpool and London Globe Insurance and the Indian offices were up for hard competition from the foreign companies. History of general insurance was during the 17th century to the Industrial Revolution in the west and the consequent growth of sea-faring trade and commerce in the 17th century. The General Insurance has its roots in the year 1850 in Calcutta from the establishment of Triton Insurance Company Ltd., by British. 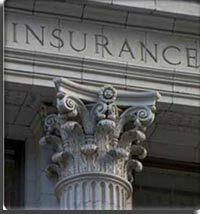 The Indian Mercantile Insurance Ltd was set up in the year 1907. As this was the first company to transact all classes of general insurance business. In the year 1957 General Insurance Council, a wing of the Insurance Association of India was established. With the emergence of growing demand for insurance, more and more insurance companies are now emerging in the Indian Insurance Industry. With the opening up of the economy, there are several international leaders in the insurance of India are trying to venture into the India insurance industry. In the year 1993, Malhotra Committee was formed which initiated reforms in the Indian Insurance Industry. The aim of which was to assess the functionality of the industry. It was incharge of recommending the future path of insurance in India.It even attempted to improve various aspects, making them more appropriate and effective for the Indian market. In the year 1999 The Insurance Regulatory and Development Authority Act was formulated which brought about several crucial policy changes in the India. In 2000 it led to the formation of the Insurance Regulatory and Development Authority. The goals of IRDA are to safeguard the interests of insurance policyholders, as well as to initiate different policy measures to help sustain growth in the industry. This Authority has notified 27 Regulations on various issues like Registration of Insurers, Regulation on insurance agents, Re-insurance, Solvency Margin, Obligation of Insurers to Rural and Social sector, Investment and Accounting Procedure, Protection of policy holders' interest, etc. Indian Insurance Industry is flourishing with several national and international players competing and growing at rapid rates. The success comes usually from the easing of policy regulations, and India has become more familiar with different insurance products and the period from 2010 - 2015 is projected to be the 'Golden Age' for the Indian insurance industry. Indian Insurance companies today offer a comprehensive range of insurance plans, a range which is growing as the economy matures and the wealth of the middle classes increases. The most common types of insurance includes: term life policies, endowment policies, joint life policies, whole life policies, loan cover term assurance policies, unit-linked insurance plans, group policies, pension plans, and annuities. Those like the General insurance plans are also available to cover motor insurance, home insurance, travel insurance and health insurance. Life Insurance is all about guaranteeing a specific sum of money to a designated beneficiary upon the death of the insured, or to the insured if he or she lives beyond a certain age. Health Insurance - it is Insurance against expenses incurred through illness of the insured or the person who takes up the insurance. Liability Insurance usually insures property such as automobiles, property and professional/business mishaps and others. According to the Life Insurance Council, the Indian life insurance industry is considered the fifth largest life insurance market with US$ 41-billion & growing at a rapid pace of 32-34% annually. 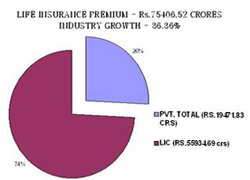 In March 2010 the Life Insurance Corporation of India (LIC) registered an 83% increase in new business income, while private players posted a 47% growth in new business premium. According to IRDA, the insurers in the year 2009-2010 sold 10.55 million new policies with LIC selling 8.52 million and private companies 2.03 million policies. In the year March 2010, LIC held 65% market share in terms of new business income collection with the private sector contributing the remaining 35% share in 2009-10. Indian Insurance Industry is a colossal one which is growing at the rate of 15-20%. Today the Insurance Industry together with banking services add about 7% to the country's GDP. A well-developed and evolved insurance industry is a boon for economic development which provides long- term funds for infrastructure development at the same time strengthening the risk taking ability of the country. Indian Insurance Industry is one of the booming Industries of the economy and is growing at the rate of 15-20 % per annum. Along with banking services, it contributes to about 7% to the country's GDP. 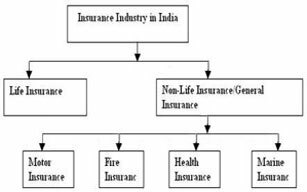 Insurance is being a federal subject in India and which is governed by Insurance Act, 1938, the Life Insurance Corporation Act, 1956 and General Insurance Business (Nationalization) Act, 1972, Insurance Regulatory and Development Authority (IRDA) Act, 1999 and other related Acts. Today in India more multinational companies have come forward in the insurance field. ICICI Prudential, Om Kotak Mahindra, Birla Sun-Life, Tata AIF Life, Reliance, HDFC Standard Life-Insurance Co., Max New York Life, SBI Life Insurance, ING Vysa Life etc. are the top companies in the private sector. 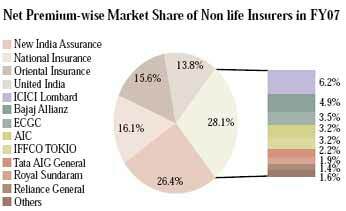 For the non-life Insurance section the major private players are ICICI Lombard, Royal Sandaram, Cholamandalam, IFFCO Tokyo, Tata AIG etc. All the Insurance companies come under the Insurance Regulatory and Development Authority (IRDA) which is established to regulate, promote and ensure orderly growth of Life and General insurance industry in India. To pursue a career in Indian Insurance Industry, the candidate should pass the entrance examination conducted by the Actuarial Society of India, Mumbai. The students who pass 10 + 2 or equivalent exam are eligible. There is requirement of License to work in this field which can be achieved through a training programme. The Indian Insurance Institute conducts Licentiate, Associateship and Fellowship plus other training programmes for insurance services. The Licentiate examination can be given in Hindi and English on life and non life branches. Subjects usually covered are Principles of Insurance, Practice of Life Assurance and Insurance Business Environment for the life branch and for the non life branch you need to take up Practice of General Insurance instead of Practice of Life Assurance. In November 2009 According to the industry body report publication, the medical insurance sector would account for US$ 3 billion in the next three years. In the year 2008-09 the IRDA in its annual report said that the Health insurance premium collections touched US$ 1.45 billion compared with US$ 1.13 billion in the previous year. Further in 2009 the total premium between April and December was US$ 1.35 billion, up from US$ 1.12 billion, an increase of 20 %, as per figures released by the regulator. According to IRDA guidance note released by IRDA, the regulator has increased the lock-in period for all unit-linked insurance plans (ULIPS) to five years from the current three years, which makes them long-term financial instruments and provide risk protection. The commission and expenses have also been reduced by evenly distributing them throughout the lock-in period. In the year 2010-2011 The Indian insurance unit of Dutch financial services firm ING plans to invest US$ 51 million to fund expansion in the country. 100 branches will be opened by Private life insurer Future General India will expand its distribution network in addition to its existing network of 91 branches during 2010. There will also be increase in the agency force by 21,000 to 65,000 people. In next five year Max Groups to invest a further US$ 134.9 Million by Max Buda, the health insurance JV between UK's Buda. Besides the existing six cities, it plans to open up into Surat, Jaipur and Ludhiana by the end of 2010.